I am completely unable to understand the current direction in npn transistor. 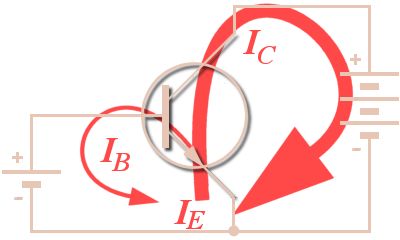 in figure 1, the red arrow indicates the electron flow(which is from emitter terminal to collector terminal). 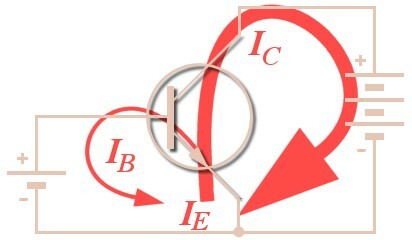 thus according to the convention, the current flow is just opposite to the direction of electron flow. therefore the current must flow from collector terminal to emitter in npn trnasistor. but nothing like that happens. instead, the current flows from emitter terminal to collector terminal(that is in the same direction of electron flow). why is it so? why does this happen? I think the diagram was trying to illustrate the conventional current flow on the left side and the electron flow on the right side. But they made a mistake and used a PNP schematic symbol on the left when they should have stayed with the NPN schematic symbol for both cases. 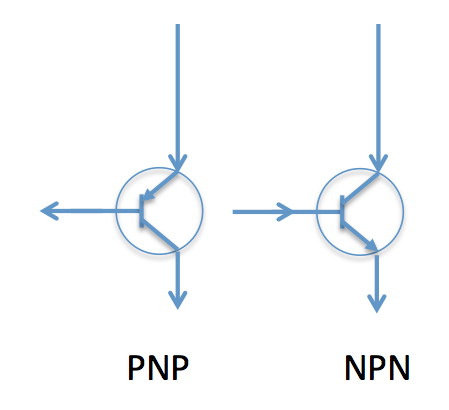 If you replace the PNP on the left with an NPN symbol, then the diagram makes sense in the context of illustrating conventional current directions on the left side and electron current directions on the right. It is hard to miss that your question has almost completely changed. So the above is what I wrote then to address the question I believed you were asking then. The new question is different. And it would probably be better to have asked that as a new question here. Changing the question makes the answers appear disconnected and perhaps even irrelevant and that doesn't help future readers who may see a question and then some answers and be completely mystified. As far as "current direction" goes, and at least so far as copper wiring is concerned (which only has conduction band electrons to carry current, unlike aluminum which is a little more 'nuanced'), you simply decide whether or not you are talking about positive charges moving or negative charges moving. Benjamin Franklin, centuries back, didn't know how all this worked and had an even chance of "getting it right." Despite the 50% odds, he got it wrong and decided that it was positive charges. Ever since, partly because the earlier literature made the same assumptions, we've been stuck with it. So. Don't get mentally mired in this. Since most of the rest of the world has accepted, and is using, the old Benjamin Franklin perspective of charge flow direction all you will do is continually confuse yourself and others every time to talk with someone else if you decide you are going to be the isolated voice challenging the convention everyone else is now using. Sure, the reality may be different. But so long as you stay consistent, it doesn't matter. So current does flow from collector to emitter in the NPN. If you accept the convention, which uses "anti-electrons" as the charge carrier. If you refuse to accept it and go your own way insisting on using electrons as your charge carrier, then sure, it goes from emitter to collector. If it helps, turn this around and look at the PNP. Here, using the usual benjamin Franklin convention, current flows from the emitter to the collector and using your electron convention it flows from the collector to the emitter. Just the opposite. Maybe for now it's better to just accept a different idea. That in a BJT operating in the active or saturated regions the emitter current is the sum of the collector and base currents, regardless of the direction you yourself insist upon. The direction you use for your imagination doesn't matter that much, so long as you stay consistent with your approach. The problem comes only when you want to communicate with others. Then you should use whatever they are using to understand and communicate back to you. Otherwise, the conversation devolves into debating terms and nothing gets done in the end. A good DC model for the BJT is called the Ebers-Moll model. If you are interested, go look at this EE.SE answer I gave. There, you can see the simplest (DC) BJT model that exists. (It's missing an equation that describes the variation of saturation currents over temperature, but is otherwise complete.) There are three completely equivalent and identical BJT models presented there. There is no difference between them except for their mathematical formulation and what mental perspective is chosen to be emphasized by the model. I think that if you struggle mentally to acquire those equivalent models, you will see why your debate here is rather minor in the larger scheme of things and why it is best if you just learn to use terms as others use them and move on. I'm not telling you to forget physics, such as the fact that electrons are our current working belief about charge carriers (physics is always tentative and never absolute in its proclamations of fact.) It's a good thing to keep in mind the idea that thermally agitated electrons easily move from valence bands into the conduction band in metals and that the electron cloud model operates reasonably well in explaining a whole gamut of observed behaviors of current flow, mean free path, mean velocity, etc., in metals (and other materials, as well.) And that it explains why conductors are never transparent, too. Lots of good stuff arrives from knowing that detail. But it is not important in electronics discussions that you stick to your guns and insist that current flow is about electrons. You can just as well say that it is due to anti-electrons and be just as able to explain and design circuits. The currents inside a BJT are a bit more complicated than what appears on the outside, where wires connect up. 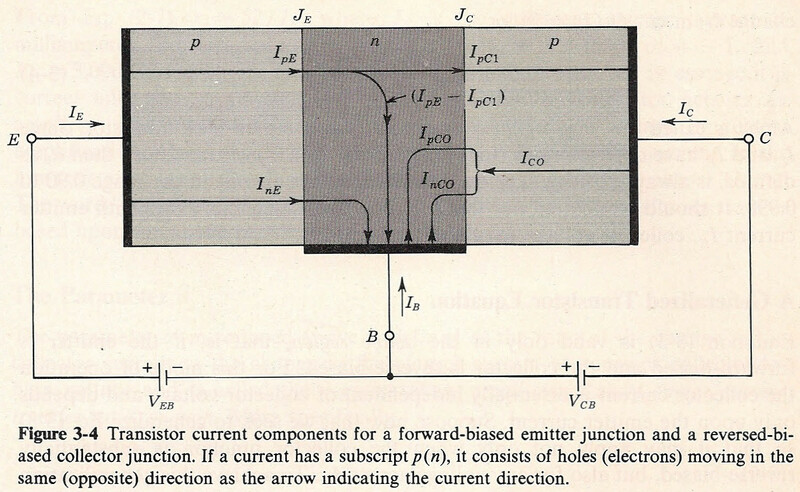 See the diagram below from page 61, section 3-2, of Jacob Millman's "Microelectronics," 1979. 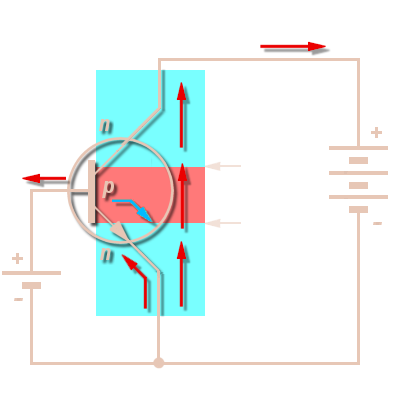 (The diagram shows a PNP transistor.) But none of this applies when just wiring up a BJT into a circuit -- as such details are hidden from you. Note that "electron current" is the opposite direction from "conventional current"
Perhaps the site you used (can you share a link?) was talking about the directions in which the electrons flow? Someone has succesfully feeded to you some total disiformation. But the direction of the current is the opposite of your arrows. The general agreement on "the current has the opposite direction of the electron flow" should be used also here. That agreement was done when there was no evidence of the existence of so called electrons. Instead, the electric current seemed to carry metal through liquids. That phenomena was quite believable, so the direction of the current was nailed to be the opposite of the direction of the electrons. When the electrons finally were accepted due the new accurate measurements and plausible theories, the electric industry was already so massive that the current direction convention had become untouchable. The arrow in the emitter tells the current direction. Hopefully you have noticed that the currents in the transistor come from the external sources. The transistor is only a way to those currents, altough quite complex one when compared to wires or resistors. Not the answer you're looking for? Browse other questions tagged transistors bjt bipolar or ask your own question. Is this circuit acting as an amplifier and how does it work? What is the real problem with fixed point bias circuit? How does a bipolar transistor work on logical level? How does the current flow through the collector-base junction of an NPN transistor operating in saturation? BJT how to explain in terms of conventional current flow? Why current flow from collector terminal?